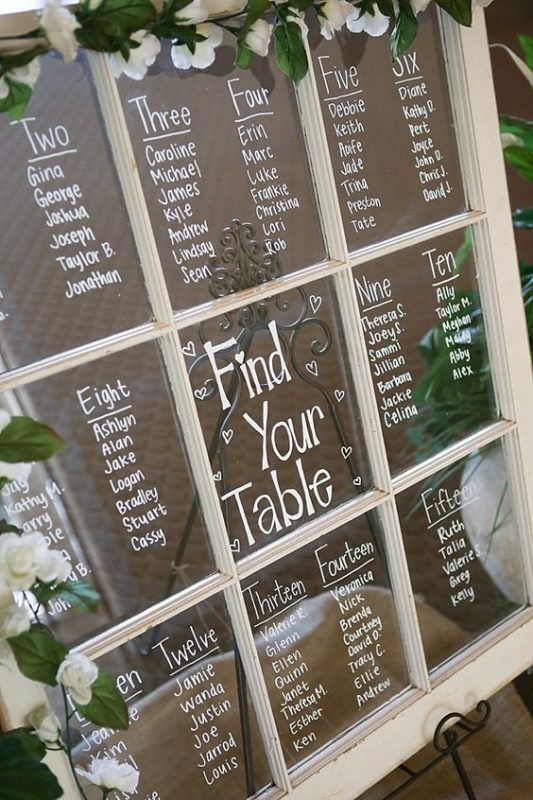 Your seating chart sets the tone for your wedding reception. Will it be glam, rustic, vintage? 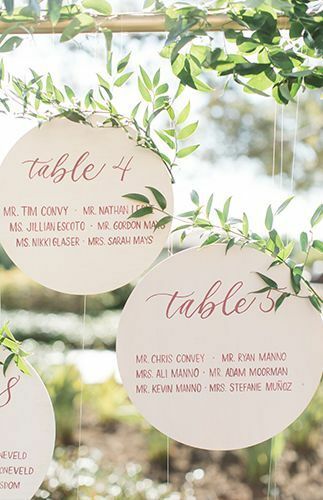 The seating chart should speak to you and your new spouse’s style, whether you’re having a stateside or destination wedding. 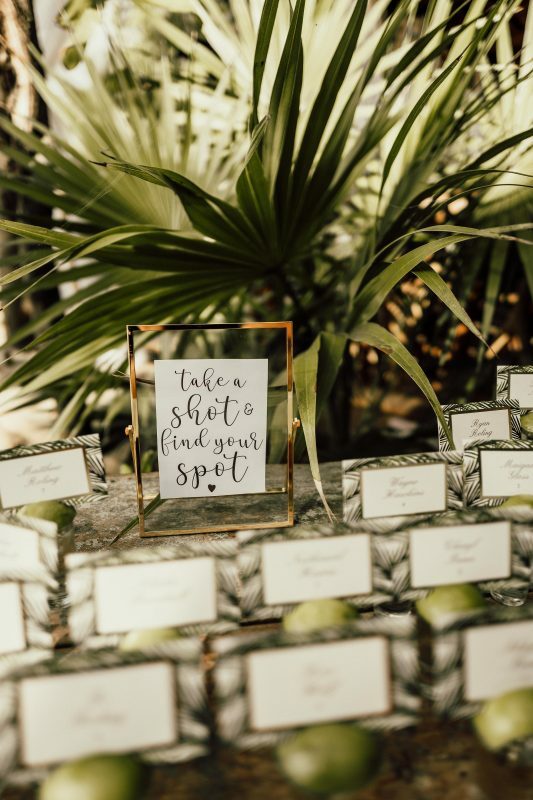 To help give you some inspiration, we’ve put together some of our favorite destination wedding seating chart ideas that will help take your reception up a notch. 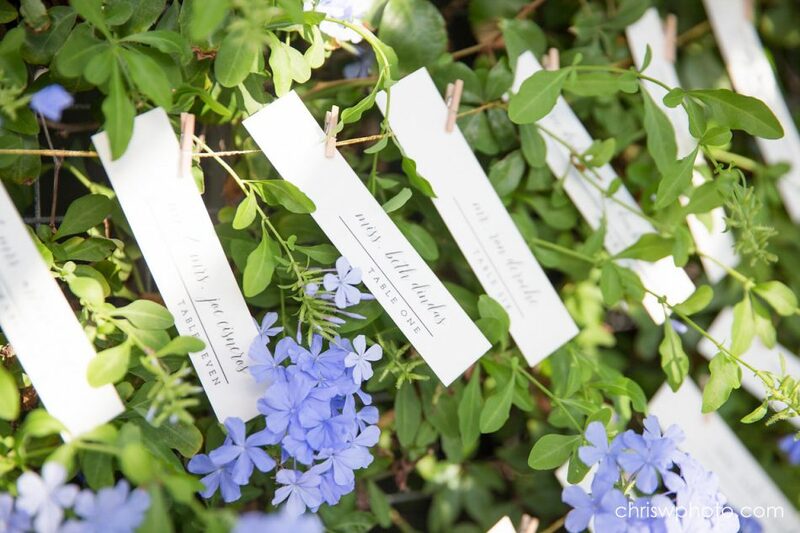 Also need guest book ideas? 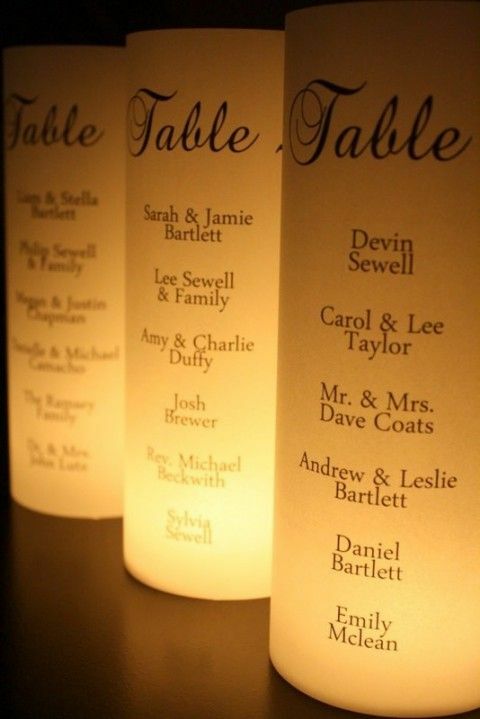 Check out our Alternatives to the Traditional Wedding Guest Book, too! These are surprisingly easy to put together and give a cool “floating” aesthetic. Not to mention, this style is easy to transport and your venue can likely provide the arch to hang them from. 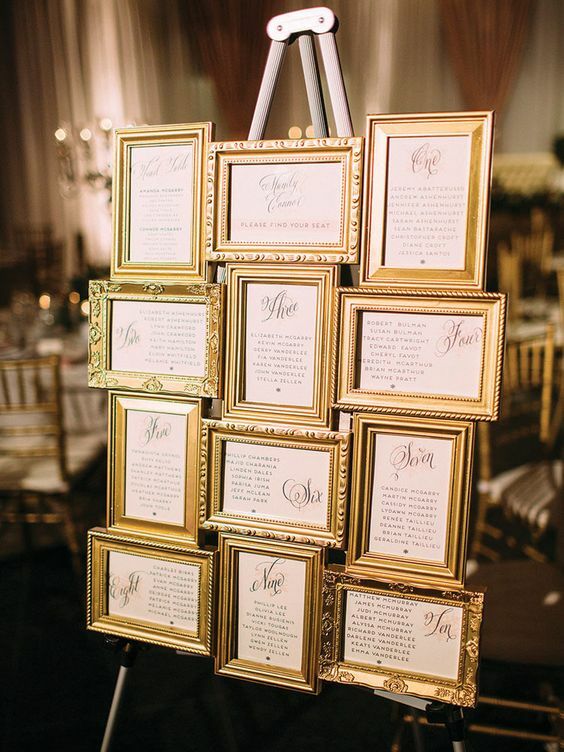 This can accommodate any style from classic elegance to country chic, since you pick out the frames that fit your taste and wedding vibe. The best part is they don’t have to match, so a collection of inexpensive flea market frames will look absolutely fabulous. Always a classic and always a favorite of wedding guests. 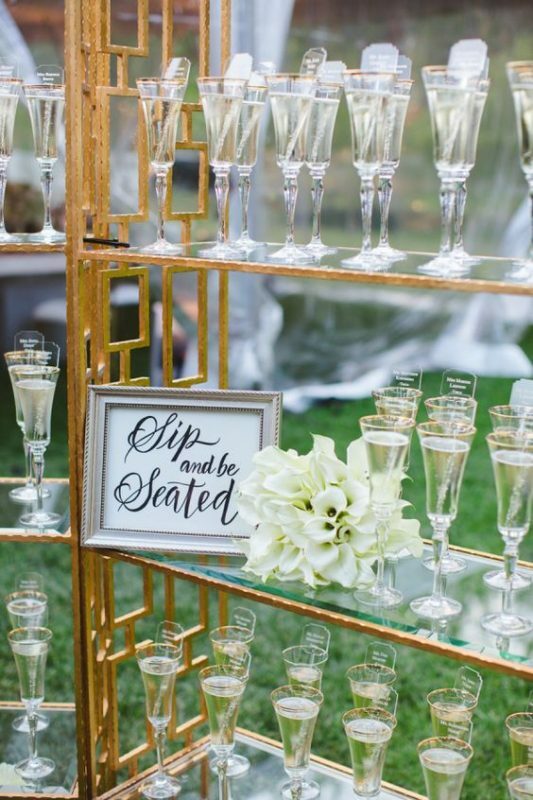 You can go for the traditional “Take a shot, find your spot” or mix it up with any custom drink for a “Sip and be seated.” This is one of the easiest for a destination wedding couple to arrange since your venue coordinators will do most of the set-up for you. 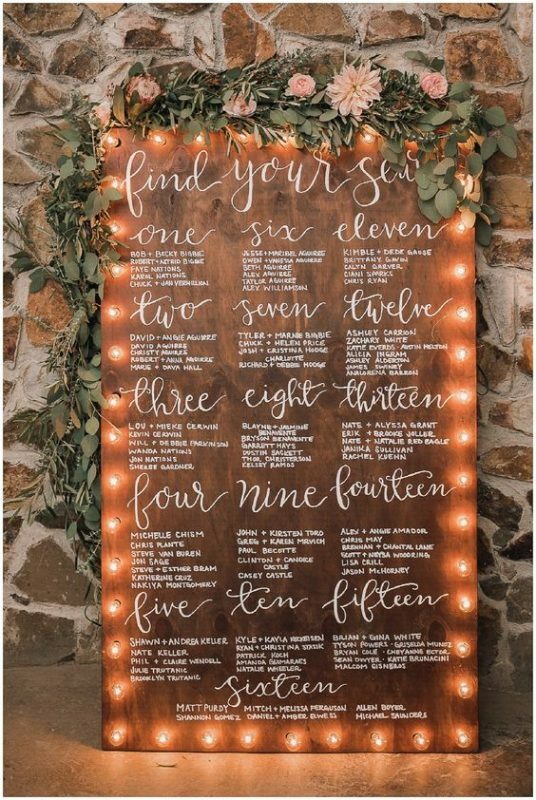 The rustic wood board has become uber popular among destination wedding brides and grooms. Elevate the look with strategically placed lights and flowers. This one will require some heavier DIY work or a little more money to hire someone else to do it, but is well worth it. Here’s another super easy seating chart to create. All that is required is a vintage window (you can find very decently-priced ones on Etsy), a white glass pen, and optional floral decoration. Remember, though, this one will have to be shipped and marked as fragile so it arrives at your wedding venue safely. This design always looks cutest with mini clothespins. 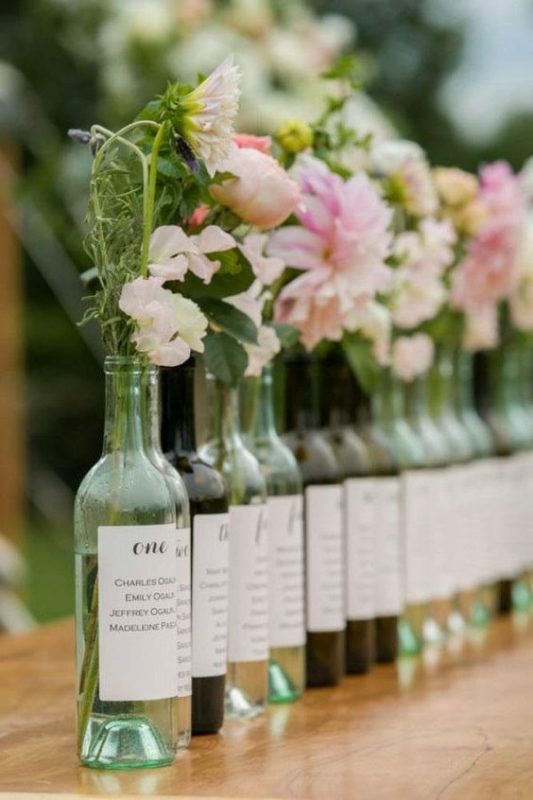 Connect them to greenery like in this photo or try a cork board or chicken wire for a shabby chic look. Of course this will look best if your wedding is after sundown. These radiate elegance and romance with ridiculously minimal effort. Talk about a good aroma! 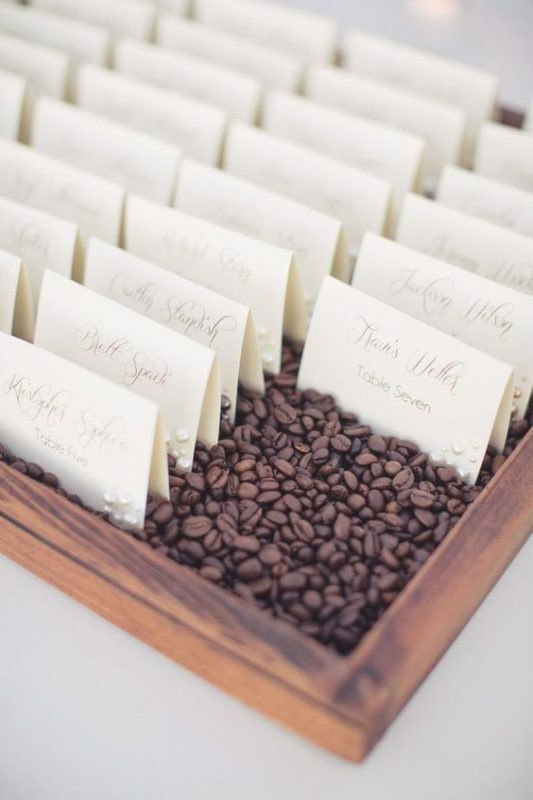 The smell of coffee beans can actually help cleanse your palate, so this is perfect if your guests are coming from hor d’oeuvres during the cocktail hour. Swap coffee beans for cacao beans if you’re having a destination wedding in Mexico. Cacao beans have a deep history in ancient Mayan culture, plus your guests can take some and eat them! 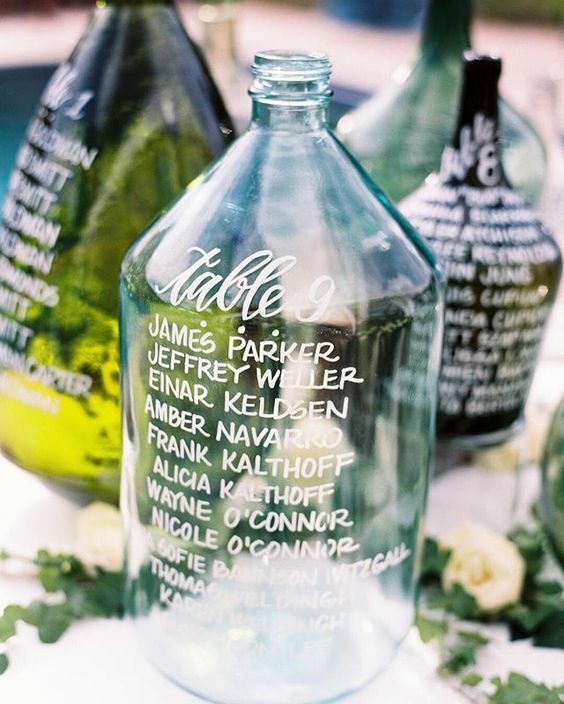 With this look, it’s best to have the bottles or jugs different sizes, shapes and colors for a more natural feel. This is another one where you will want to pay shipping costs rather than hope they’ll stay safe in checked baggage. OPT OUT OF THE SEATING CHART! Make it easy on yourself and skip the seating chart altogether if you don’t care where your friends and family sit. The waiters at your venue can simply ask which meal the guests had chosen, and everyone can choose a spot to their heart’s desire. 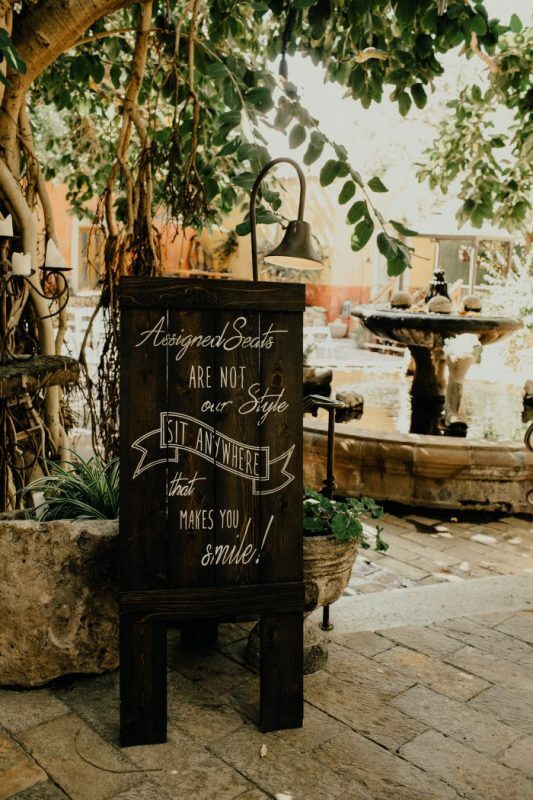 An adorable sign like this one does the trick!